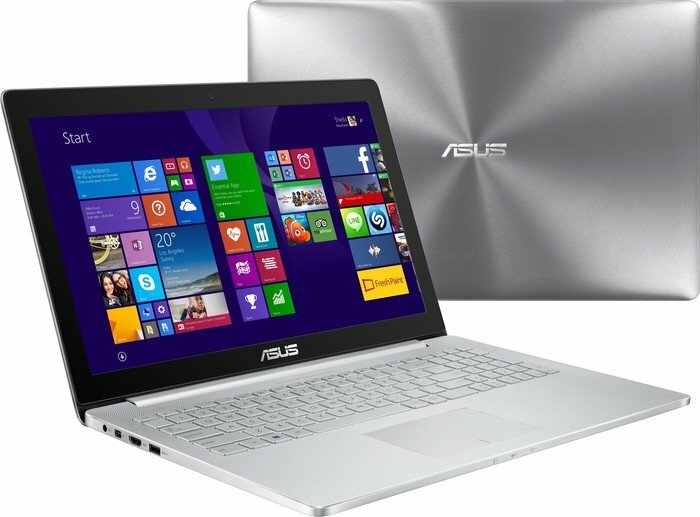 Asus announces immediate availability of ZenBook Pro UX501, a 15-inch, high-performance laptop with 4K/UHD display and the new GeForce GTX 960M graphics. 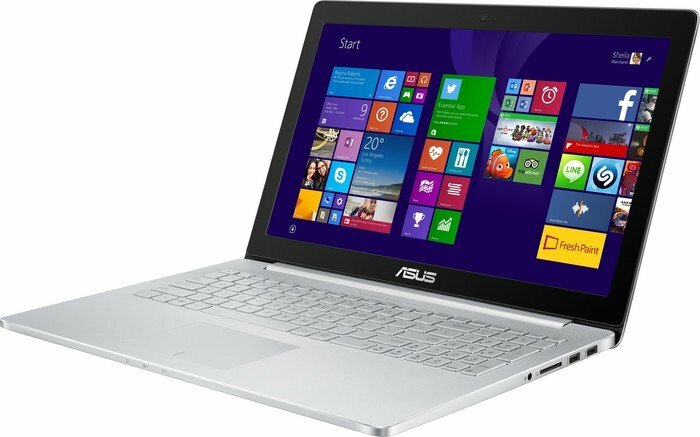 Today, Asus begins shipping the ZenBook Pro UX501 in the United States. The 15-inch machine is not only packed with latest components but also boasts a slim and stylish chassis. 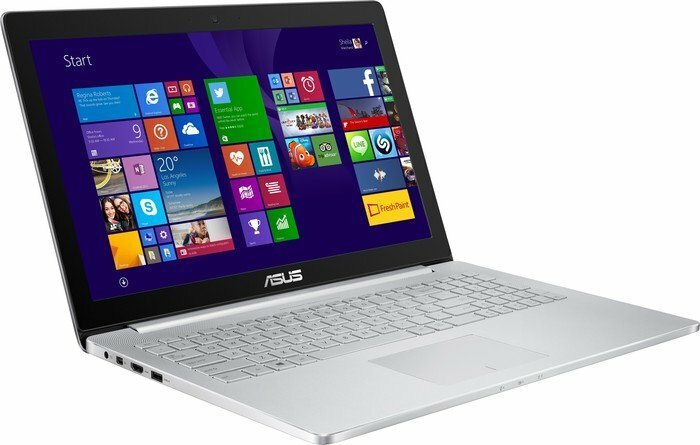 Asus ZenBook Pro UX501 comes with quad-core Intel Core i7-4720HQ processor, an Nvidia GeForce GTX 960M graphics card with 2 GB of GDDR5 memory, 16 GB of RAM as well as a 512 GB PCIe x4 SSD with read speeds up to 1400 MB/s. On top of that, we get a 15-inch, 3840 x 2160 (4K/UHD), 282 ppi, IPS touch screen with 100% sRGB coverage. The display employs VisualMaster technology which, according to Asus, ensures incredible detail, clarity, accuracy and vibrant lifelike color. The UX501’s aluminium chassis is 0.81 inches thick with laser-engraved ripple-effect pattern on top cover. The laptop weighs 5 lbs. Connectivity options include 802.11ac Wi-Fi, allowing transfer speeds up to 867 Mbps, as well as Thunderbolt 2.0. The Asus ZenBook Pro UX501 will be available immediately in the US from the ASUS Store and select resellers at $1799. 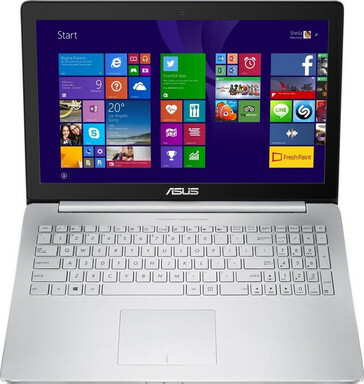 Fremont, CA (27 April, 2015) - ASUS today begins shipping the ZenBook Pro UX501, a high-performance notebook aimed at demanding users that want high-performance with unmatched elegance. The ZenBook Pro UX501 is packed with a powerful quad-core Intel® Core™ i7 processor, game-ready NVIDIA® GeForce® GTX™ 960M graphics and an incredibly-fast 512GB PCI Express® (PCIe®) x4 SSD. Featuring a slim and stylish chassis, the ZenBook Pro UX501 is a compact powerhouse that delights the eyes with a superb 15.6-inch VisualMaster IPS display that provides a stunningly-detailed 4K/UHD resolution and an amazing pixel density of 282 pixels per inch (PPI). The ZenBook Pro UX501 blends uncompromised performance with a timeless and classic design, incorporating the elegance and style that is the hallmark of the ZenBook family. Its slim and compact chassis is just 0.81-inches thin for easy portability and is sculpted from lightweight aluminum featuring the iconic spun-metal finish. Brushed metal surfaces and diamond-cut chamfers on the edges add brilliant highlights while the keyboard surround is enhanced with a stylish laser-engraved ripple-effect pattern. At the heart of ZenBook Pro UX501 is the ultra-powerful quad-core Intel Core i7-4720HQ processor, providing effortless performance for any task. A massive 16GB of RAM ensures super-smooth multitasking with plenty of processing power in reserve for for more intensive content creating tasks. The amazing new NVIDIA GeForce GTX 960M graphics processor (GPU) empowers the ZenBook Pro UX501 with game and work-ready graphics performance. The ZenBook Pro UX501 features 2GB of fast GDDR5 video memory for silky-smooth 4K/UHD video playback and powerful 3D processing for image and video editing. Ultra-fast storage is essential for fast boot times and effortless file operations. The ZenBook Pro UX501 features a 512GB PCIe x4 SSD with read/write speeds up to 1400MB/s that’s 16 times faster than standard SATA 6Gbit/s hard disks. 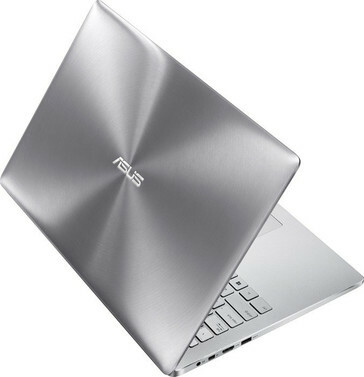 High-speed 802.11ac Wi-Fi, with speeds of up to 867Mbit/s, provides the ZenBook Pro UX501 with wireless network connectivity three times faster than previous-generation 802.11n. Thunderbolt 2.0 connectivity provides flexible lightning-fast expansion for external storage devices, docking stations and displays. ASUS VisualMaster displays set the standard for laptops, incorporating the latest technologies to give users unrivaled visual clarity and detail. The ZenBook Pro UX501 has a 15.6-inch VisualMaster multi-touch display with a razor-sharp 4K/UHD 3860 x 2160 resolution, four times higher than Full HD, and an incredible pixel density of 282PPI for stunningly-detailed and lifelike images. IPS technology with wide 178° viewing angles ensures that colors and contrast are perfect from all viewing positions.